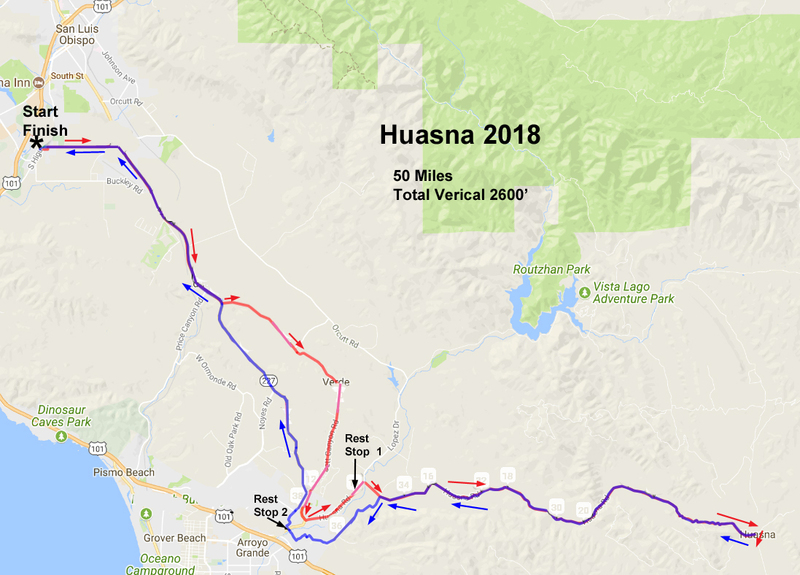 This Saturday the SLO Velo ride will depart from Starbucks and go out to Huasna township and back. Should it rain the ride will be cancelled. Start Location: Starbucks, 3971 S. Higuera St., next to Trader Joe’s in SLO. The A group averages 17+mph over a 50 mile route with 2000 feet of total vertical. The B group averages 14 +mph over a 50 mile route with 2000 feet of total vertical. Regroups and Restrooms every 15 miles or so…. Faster riders are welcome and invited to go off the front and meet up with the rest of the riders at the rest stops. We won’t be stopping for Lunch or Coffee Shops along the route but there will be a post ride lunch at Starbucks and adjoining restaurants.